The Electronic Frontier Foundation is the leading nonprofit organization defending civil liberties in the digital world. Founded in 1990, EFF champions user privacy, free expression, and innovation through impact litigation, policy analysis, grassroots activism, and technology development. The EFF works to ensure that rights and freedoms are enhanced and protected as the use of technology grows. 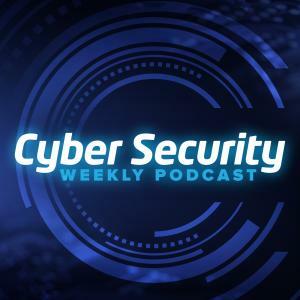 This interview with Eva Galperin, Director of Cybersecurity dives into cybersecurity, privacy and security and the future around implants, robotics and Avatars. Prior to 2007, when she came to work for EFF, Eva worked in security and IT in Silicon Valley and earned degrees in Political Science and International Relations from SFSU. Her work is primarily focused on providing privacy and security for vulnerable populations around the world. To that end, she has applied the combination of her political science and technical background to everything from organizing EFF's Tor Relay Challenge, to writing privacy and security training materials (including Surveillance Self Defense and the Digital First Aid Kit), and publishing research on malware in Syria, Vietnam, Kazakhstan. When she is not collecting new and exotic malware, she practices aerial circus arts and learning new languages. Recorded 30 October 2018 at Kaspersky Lab Next Conference, Barcelona, Spain. #KLNext. MySecurity Media were participants in this year’s Kaspersky Next conference courtesy of Kaspersky Lab.